You’ve prepared. You’ve rehearsed. 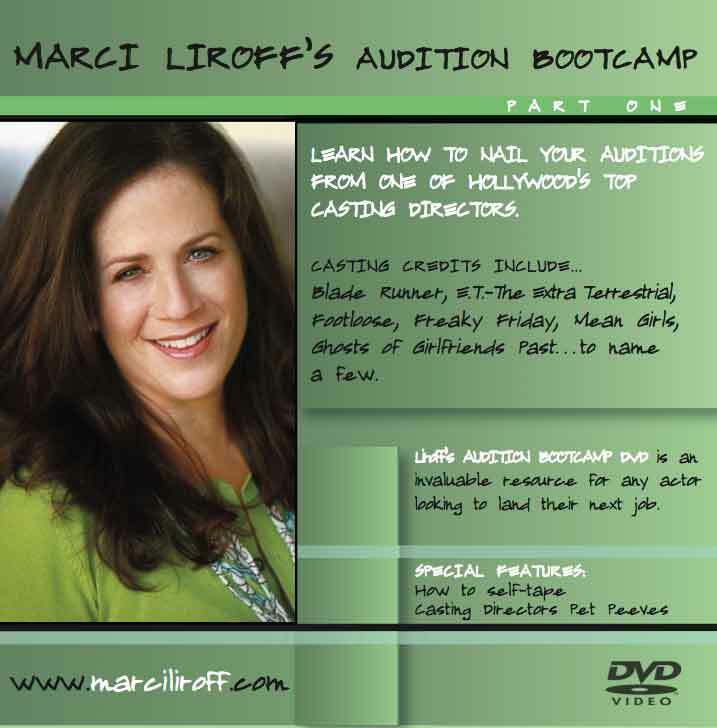 You’ve worked with your coach and picked out the perfect outfit to wear on your audition. You’ve even arrived slightly early and found “Doris Day” parking right in front of the casting office. You’re all charged up and ready to go and you turn the corner to find 10 people sitting in the waiting room for the audition. Aargh! I know exactly how this feels because I have to interview/audition like you do for a job sometimes. When I come to an office to meet a producer or director and I’m all pumped up and have to wait awhile, I get totally deflated. All my energy and enthusiasm gets sucked out of me. Here are a few things you need to do to protect yourself from the elements and stay in your creative zone to do your best work. 1. Be on time and expect to wait. Many times, the director/producer will show up late and screw up my meticulously scheduled day. Or we get stuck on a time-sensitive phone call about securing financing for the project. You may have to wait a long, long time and we get behind. Sometimes we get WAY behind and you have to wait an hour. It’s horrible. It’s important that you do what you need to do to keep yourself from losing your energy and it doesn’t affect your attitude – whatever it is that works for you. I recommend using headphones or earbuds because it drowns out what’s going on in the room. Furthermore, if you have your earbuds in, no one will talk to you! It’s like your own form of privacy. 2. Don’t get caught up in the “scene”. There’s always that one guy/gal who’s bragging about all the auditions they’ve been on lately. It can sometimes make you feel “less than” if you’ve only had a few in the last several months. This is where the earphones come in handy! Don’t get sucked into the weird energy that sometimes exists in the waiting room. Concentrate on your scene and your character. 3. Stand up if you feel like it. For me, sitting too long just drains all my energy and I leave it on the couch or chair. Stand in the hallway (don’t go to far so that we have to come hunting you down when it’s your turn though!). After auditioning for years, you’ll know what works for you in terms of preserving and protecting your energy and state of mind. 4. Be careful not to diss the material – you never know who’s in the waiting room. It could be a friend of the writer or the producer’s wife. You literally never know. 5. 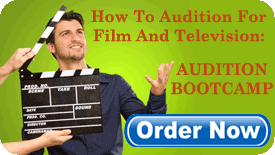 Try as hard as you can NOT to listen to the other actor’s audition thru the door. It’ll make you rethink your own choices and destroy your own reading. You’ve worked hard on your audition with lots of preparation. Stick to your choices. 6. Be nice to the casting assistant. They are my eyes and ears. If you’re rude or abusive to them, believe me I will hear about it and not be so inclined to bring you back. This would seem like common sense, but you’d be so surprised of the stories I’ve heard from my assistants. Believe me when I tell you that they will, one day, run a studio or direct your next film! 7. Check in with the assistant when you arrive and check to see that you have the correct set of sides. Better to find out BEFORE you come in the audition room and hopefully you’ll have a few extra minutes to get up to speed if the version of the sides has changed. 8. Bring comfortable shoes. This one’s for the ladies. My office moves around from project to project and we sometimes get offices that are buried deep into the studio lot and parking is miles away. If you’re in high platform heels, your “dogs are gonna be barking” by the time you get to our office and all you’ll be able to concentrate on are your aching feet! Throw a pair of sneakers or flip flops in your car for the walk. I’d love to hear what other ways you cope with the waiting room in the comments below. It’d be great to share with each other what works for you!